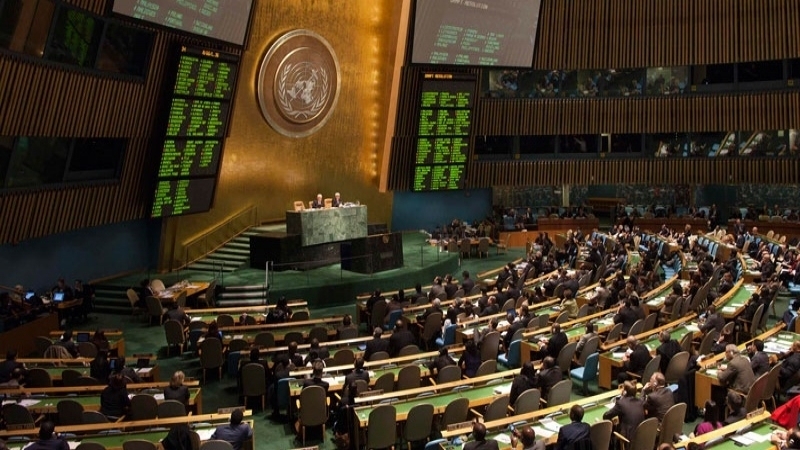 Ukraine will submit new resolutions on the human rights situation in the occupied Crimea for consideration by the UN General Assembly, according to the Head of the Ukrainian delegation to the UN Vladimir Yelchenko. The diplomat noted that resolutions of this kind have a peculiar evolution, as circumstances change over time. “In Russia they understand that what the mission will report after visiting the Crimea will have even more terrible consequences for them than if they do not allow this mission there. So, going back to the UN General Assembly resolution on the Crimea: Yes, there will be a third, a fourth, and a fifth one. I hope that we will not have 50 or 100 of them and the issue of the Crimea's return will be resolved sooner," Yelchenko said. Vladimir Yelchenko also expressed hope that the occupation authorities will allow the monitoring mission of the UN in Crimea. “The question is not in the invitation, it can be from anyone. The UN mission will not go to the Crimea without having permission from Ukraine. We will give this permission a priori, the only question is what the conditions will be for sending such a mission," the diplomat said. Earlier, the monitoring mission of the United Nations reported that Russian security officials had arrested 49 Crimean Tatars in the annexed Crimea from mid-August to mid-November 2017. The Office of the United Nations High Commissioner for Human Rights, based on the resolutions of the UN General Assembly, continues to observe, document and report on facts related to the human rights situation in the Crimea.